How many California wild horses and burros will be left after the fire? 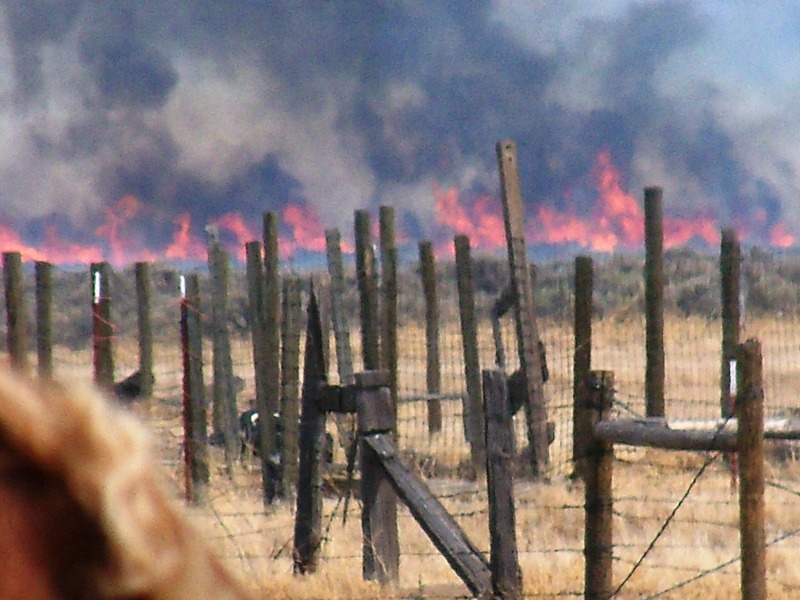 How many wild horses and burros were trapped by fencing in the fire? 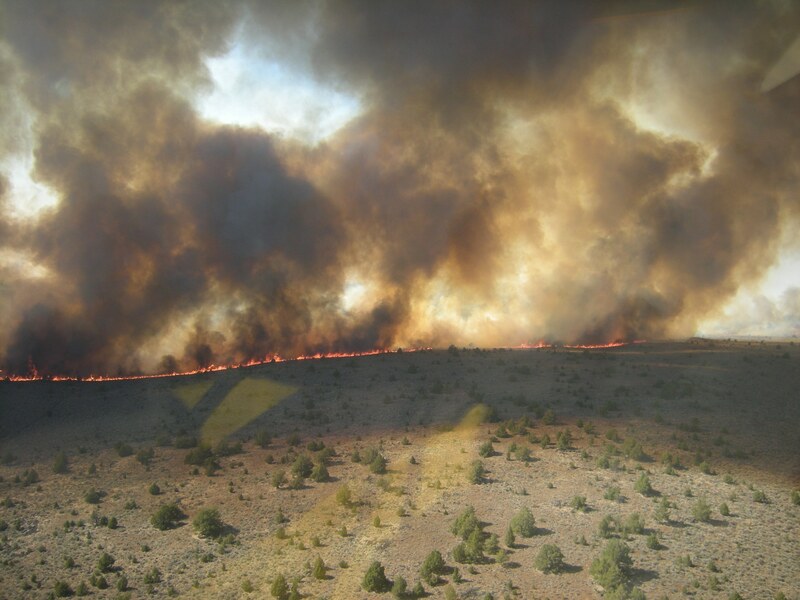 Susanville, Calif., Aug. 26, 7 a.m.–On Saturday, firefighters successfully held fire lines in the northeast part of the Rush fire in spite of gusting winds. Large dust devils were common and firefighters remained very busy fighting fire. The threat from dust devils has led firefighters to go to the unusual length of mopping up for 500 to 1000 feet from fire lines into the burned area. This tough work involves finding each and every hot spot and cooling them off. In spite of the winds on Saturday, firefighters were able to hold the existing fire perimeter for the fourth day in a row. The northeast flank is where the fire is most active. 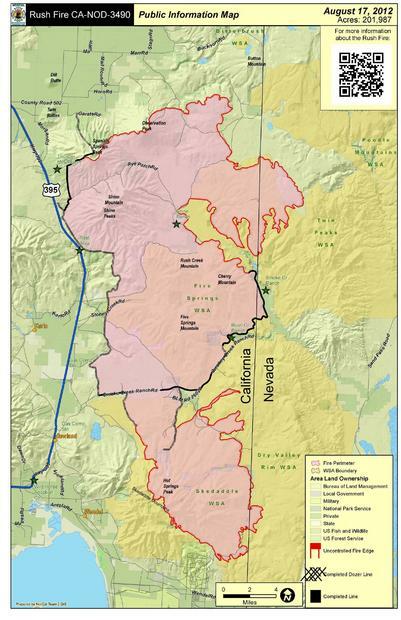 This part of the Rush fire is in Nevada, about 25 miles northeast and east of Ravendale, Calif., near SOB, Garden and Burnt lakes, the Buffalo Hills, Antelope Basin, and Cottonwood Creek. Helicopters with buckets dropped water on hot spots in the Cottonwood Creek area on Saturday. In the southern and southwestern flanks of the fire on Saturday, firefighters continued repairing damage from fire-fighting activities. The National Weather Service issued a red-flag warning for Sunday from noon to 10 p.m. because of low humidity and gusting winds. The winds have the potential of fanning any remaining embers and hot spots. Winds can also form dust devils that could carry hot material over containment lines into extremely dry unburned vegetation. 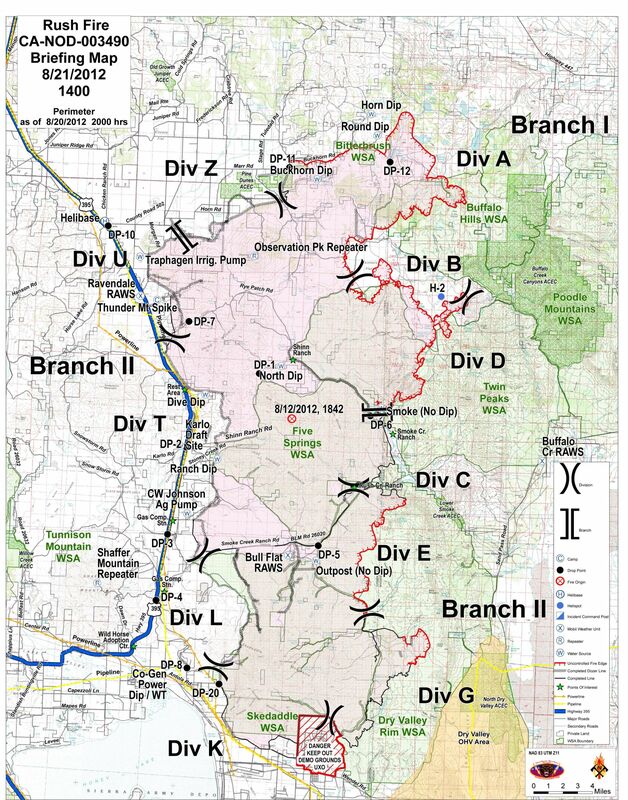 On Sunday, firefighters will continue their efforts to hold the fire to its current perimeter, to mop up and to make repairs on the western side of the fire. Area and Road Closures in Effect: Public lands bounded by Highway 395 on the west, the Sand Pass road and Nevada 447 on the east, the Wendel Road on the south, and Juniper Ridge road to Buckhorn road on the north are closed. The Buffalo Meadows road in Washoe Co., Nev., is also closed. The Ramhorn Springs and Dodge Reservoir campgrounds remain closed. Remarks: NOTE: Use of chainsaws on public lands managed by BLM in northeast California and far northwestern Nevada is suspended because of extreme fire danger. Fire officials remind residents and visitors that fire restrictions are in effect for public lands and national forests in northeast California and far northwest Nevada. Campfires are permitted only in posted recreation sites.